Who would want their appearance and health to deteriorate? 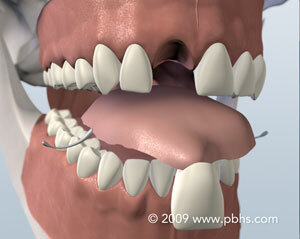 That’s the natural consequence of missing teeth – the jaw literally melts away. 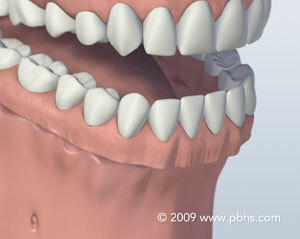 Generally, people will lose 25% of their supporting jawbone structure within the first year after tooth loss. Dental implants are more easily placed within the first year of a tooth extraction because bone replacement becomes more complex as time passes. The great news? 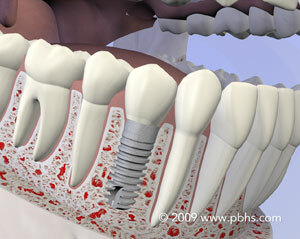 Implants act just like your natural teeth. 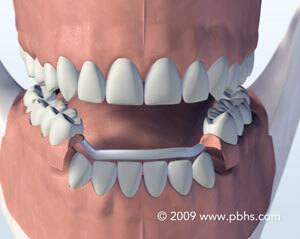 They safeguard and preserve your bone structure, oral health and appearance. Your dentist and oral surgeon will provide you with options so that you can make the most informed decision concerning tooth replacement. 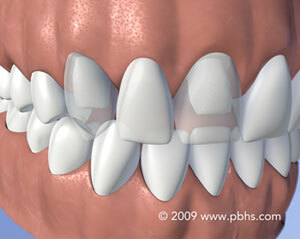 Another temporary and inexpensive solution is a clear plastic retainer with a fake composite tooth.